A treat to celebrate our launch! 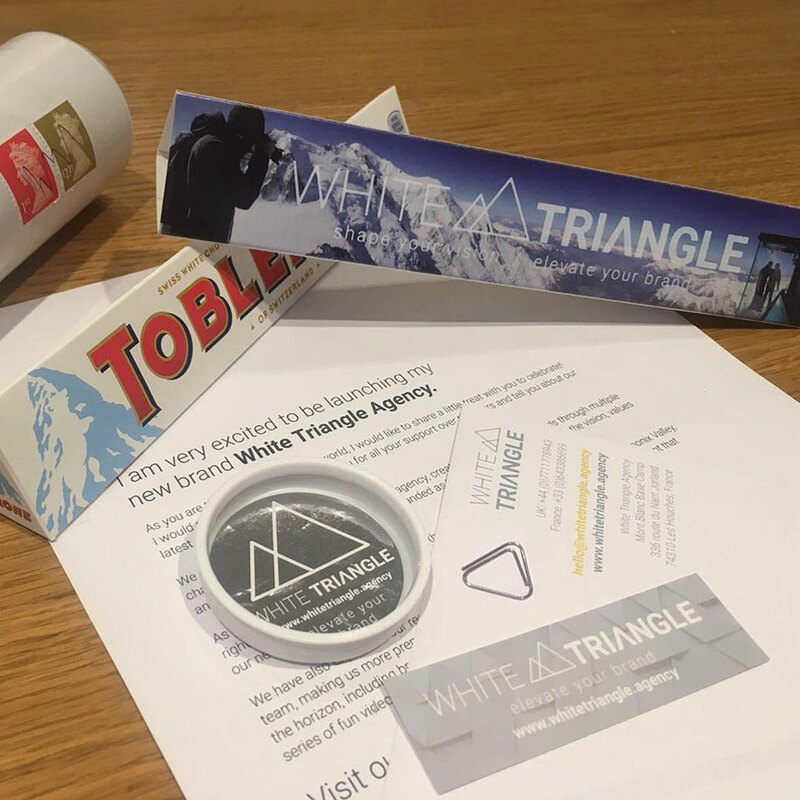 We thought it would be fun to post out White Chocolate Toblerones to our lovely clients, suppliers and friends, wrapped with our very own White Triangle branded packaging. Yum! For direct mail marketing to be successful, attention to detail is key. We used a subtle white foil on our packaging to give our logo a tactile feel (thanks Generation Press) and chose a bright yellow to make our call to action pop out . 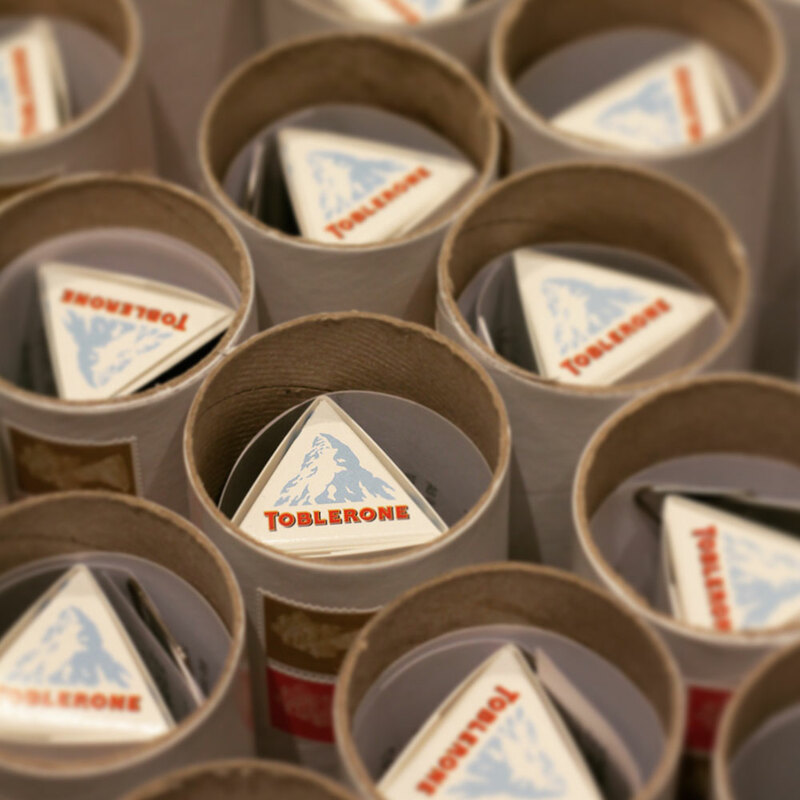 We measured the artwork for the chocolate wrapper carefully to ensure a snug fit and selected just the right size postal tubes to fit 100g Toblerones. 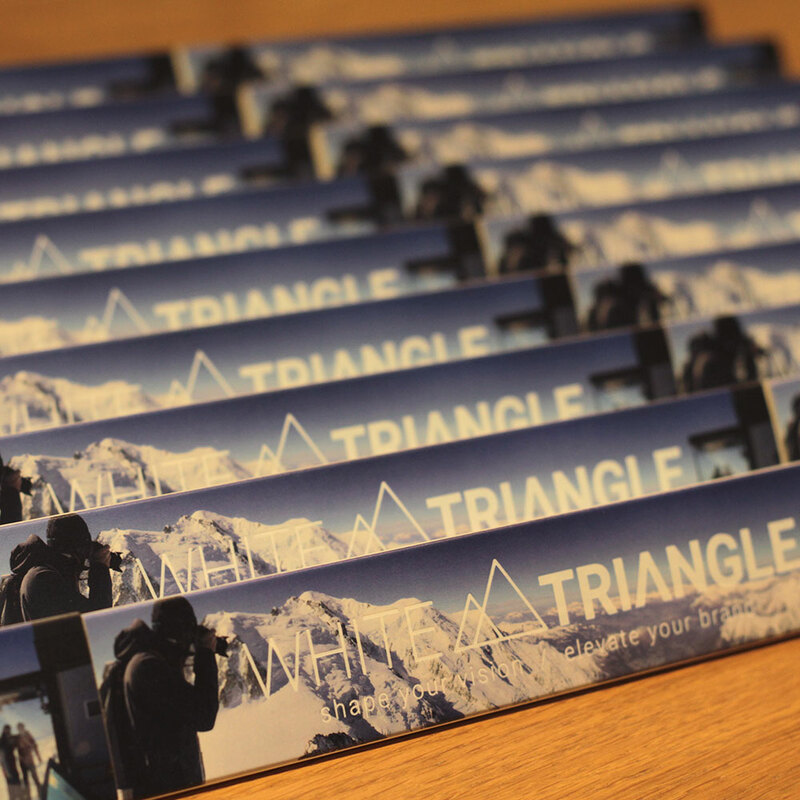 Finally, we jazzed up the tubes with shiny silver foiled labels stuck to each end (custom branded by Sticky Things). And just to make sure we were completely 'on brand' we used Fermangoli triangular clips to attach business cards to our letters. And it seems like they went down a treat... thanks for all the lovely posts, reposts and messages! 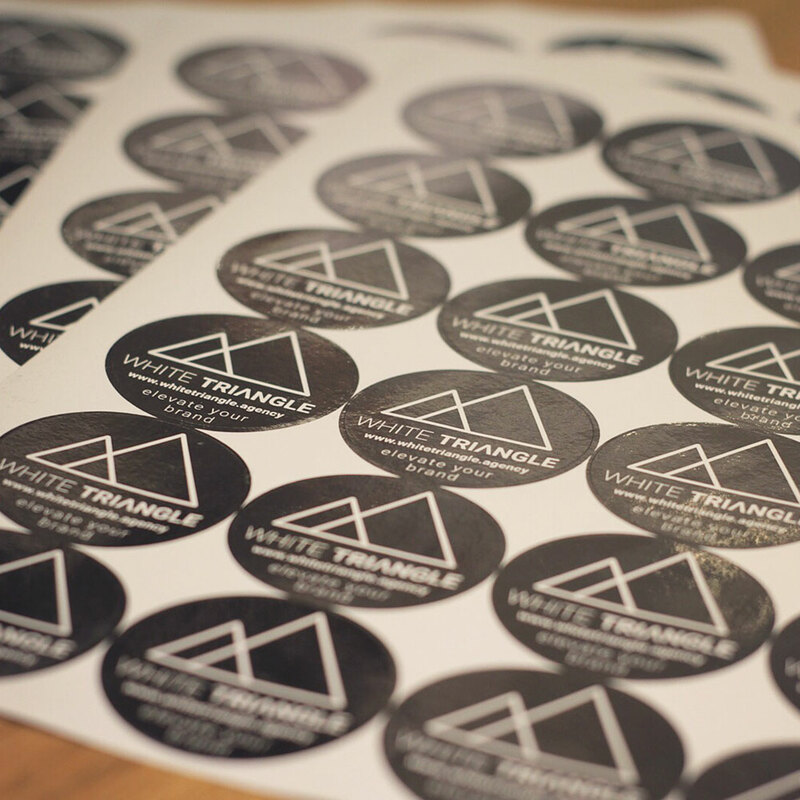 Want to get your brand noticed?